The German company began the campaign to provide public teasers. On the eve of the network got a dark picture of their novelties. This is a supercar Audi PB 18 e-tron, which debuts in the form of a prototype, with an electric power unit under the hood. The concept was designed by Audi Design Loft, which is based in Malibu, California, USA. The developers say that a sports type electric car will provide consumers with "emotions instead of emissions". The PB 18 e-tron concept car will debut at the Pebble Beach elegance competition on August 23 this year. We add that the concept is valid, so it will be shown in all its glory on the track. The manufacturer does not say yet about its installation. 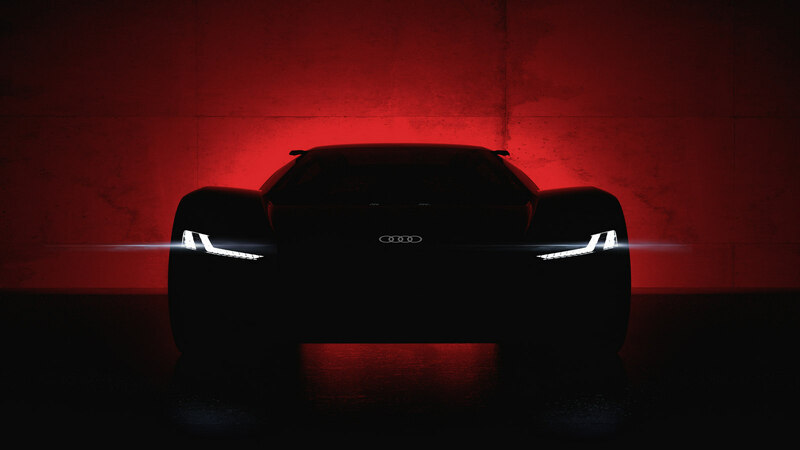 According to rumors, PB 18 e-tron will receive a power system from the prototype Audi e-tron Vision Gran Turismo, created specifically for the racing simulator Gran Turismo.